The mason jar companies have finally got the memo and started making colorful jar. However, being DIYers we wanted to figure out a way to replicate that look on our own. 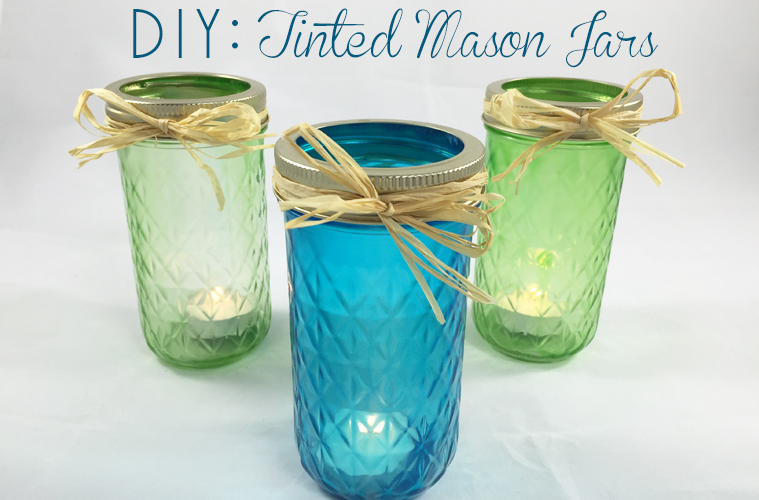 Read below to see how you can make your own tinted mason jars! The hardest part about this is waiting for them to dry so you can use them! 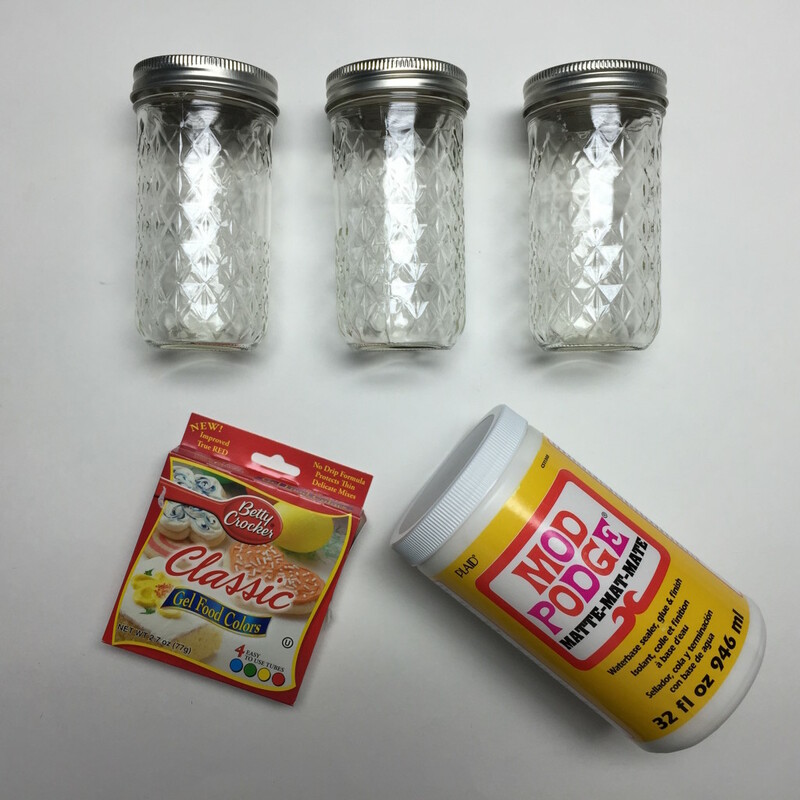 First pour Mod Podge into the mason jar. Add food coloring into the glue. The more dye you use the darker the color will be. Use your stirrer to totally incorporate the food coloring into the Modge Podge. Be sure to mix well because any spot left behind will dry on the jar. 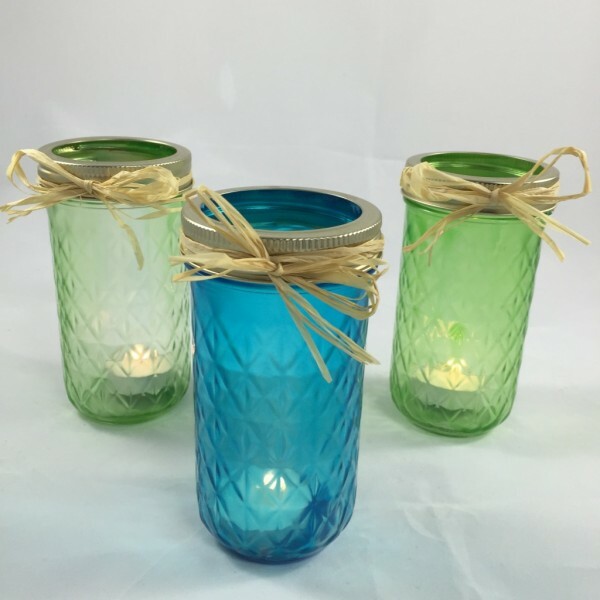 Swirl the color and glue mixture around until it has totally coated the inside of the mason jar. Flip the jar upside-down on a paper plate allowing all access glue to pool on the plate for about 30 minutes. Then place right side up in a cookie sheet in a warm oven for 30 or so minutes. If the color is slightly pastel it means the glue is not dried completely. After 30 minutes, time is up, handle with care as the jars will be hot. After they have cooled they are ready for use!